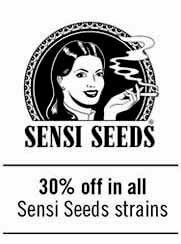 In reflectors for growth, we placed best reflectors for marijuana growth available in market. Standard reflectors, cooled reflectors (like cooltube or spudnik) and professional reflectors like Adjust-A-Wings. 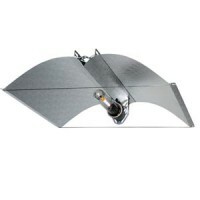 In this category you will find reflectors for all lighting equipments (high discharge and low consumption too). 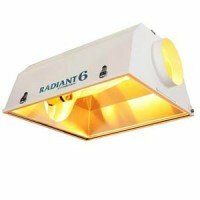 Reflectors for lamps (125w, 150w, 250w, 400w, 600w and up to 1000w. 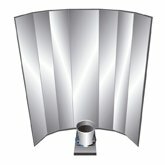 Standard reflectors In standard reflectors you will find simple and cheaper reflectors. Good option to start a new indoor garden (and to make it grow wider). Adjustable reflectors In adjustable reflectors you'll find professional reflectors for growth. Reflectors with a high quality for growers looking for better yields. 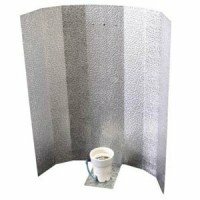 Cooled reflectors In cooled reflectors for growth you will find all reflectors available for a grow-tent. 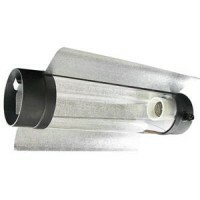 These reflectors, by its design, are able to connect in-line with the extractors to promote extracting the heat as fast as possible. 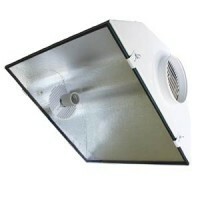 The Adjust-A-Wings is probably the reflector for indoor growing that brings better results. Adjust A Wings Enforcer reflector is available in three sizes (Small, Medium and Large) and a 86% reflectivity. 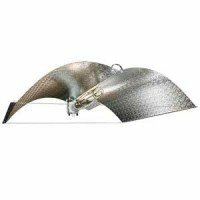 The main advantage of this reflector is that allow you guarantee a balanced growth of all plants, and increase your yields, thanks to the studied shape of its wings. 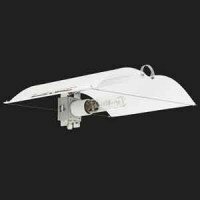 Adjust-A-wings Enforcer reflector is wide adjustable, to adapt it to your growing space needings, and its lamp holder is also height adjustable. Adjust-A-Wings is probably the growing reflector that brings better results from all are sold today. Adjust A Wings Avenger reflector is available in two sizes (Medium and Large) and a 97% reflection quality. 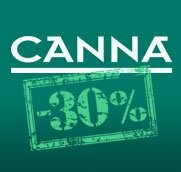 The main advantage of this reflector is that guarantees a balanced growth of all plants, and increases yields of the crop, thanks to its studied shape and reflection. 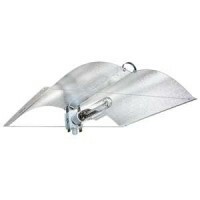 Adjust-A-Wings Avenger reflector is wide-adjustable, to adapt it to the grow-room needings, and also admits to adjust the height of the lamp holder.